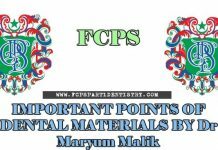 Dental Material is a subject that is compulsory to do, because almost 20-25 MCQs come in each Exam of FCPS Part 1. 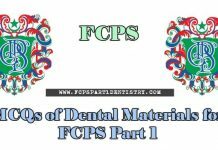 So you should give time to Dental Materials to perform well in Exam of FCPS Part 1. 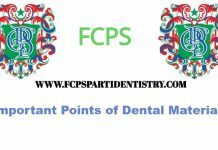 You can use many Books for this subject, but you should do MCQs and important Points of Dental Materials. We will be posting regularly the important points of different subjects. So try to be in touch with our Blog if you want to catch all Important Points. Below are the important Points made by Dr Maryam Malik. 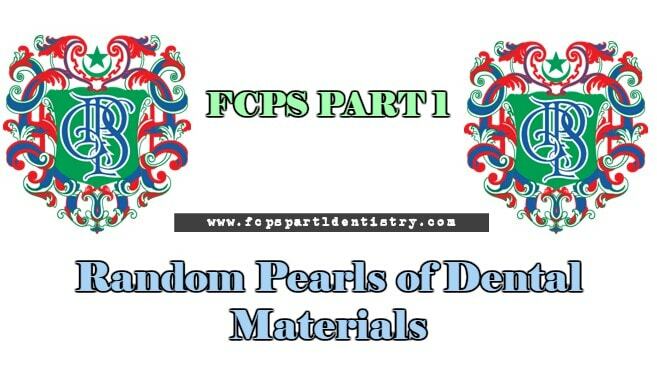 Hopefully it will help you in the exam of FCPS Part 1. 2. Irritating effect in Deep cavities —》ZnOE . 4. Kind to pulp —》 Polycarboxylate . 5. Most Bio-compatible to pulp & best marginal seal—》 ZnOE. 6. Anticariogenic properties —》 Znsilicophosphate & GIC . 8. Copper oxide & ZnOE are bactericidal. 9. Use as a negative control—》 ZnOE . 10. Cement use in patient with high Carious Index—》 silicate. 11. Cement not use In mouth breathers—》 silicate . 13. Material used for Temporary filling—》 ZnOE>GIc 4G nm. 15. Most viscous cement —-》》 PCC. 16. 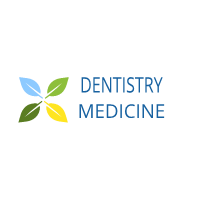 Best lining material for decayed tooth having sufficient dentine after trauma Is GIC..
8. Cement with high modulus of elasticity—》 Zn phosphate .